d4d6d8d10d12d20: Build Your Own Hyper Pulse Generator (model)! Build Your Own Hyper Pulse Generator (model)! To give you a quick overview of the situation, the merc company hired by House Steiner is on garrison duty on a far flung world bordering the Periphery and the Draconis Combine. It is a pretty backwater planet and the planet only broadcasts to the HPG Network infrequently(monthly or every 3 months). then the baron was killed as he tried to flee, with back to back headshots to his Atlas! (The baron's atlas was actually one hex from going off the map and escaping! It was an awesome set of shots!) The victory went to the merc garrison troops! So for this scenario it turns out that battle with the baron was holovideo'd, and the supporters of the baron and the Pirates heavily edited a copy, thus spinning the killing of the baron and the advisor as if our heroes were the actual murders and the baron was not a turncoat! So the "race" between the merc garrison troops and the pirates to the HPG station was ON! Now the HPG rested on a extinct volcano mountain top with only a winding road snaking to the sumit, and whom ever got their first and transmitted their side of the story were going to be the victors! 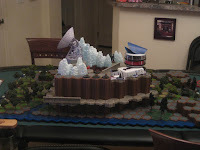 So for the scenario I decided to build a HPG Station and a Control Building(which will be another posting at some point). 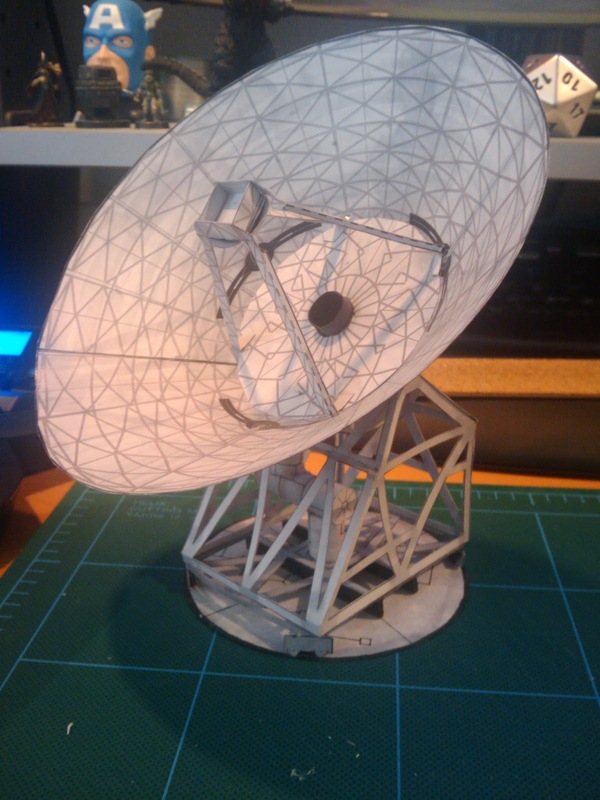 I did some searching online for some papercraft models of and came across the JPL CIT Paper Scale Models Website and specifically the Deep Space Station Atenna which is perfect for a HPG Station. With a little work in a graphics program I added some comstar logos to the inner portion of the dish (the three little black streaks along the edge near the center portion.) It was a fun little build and after a little coloring in and edging with some markers (you could do so ahead of time in the graphics program) you can get a nice looking, and moving, HPG Station perfect for any classic battletech game!